Provide a landing spot for local relationships: These pages provide a place where people can find what is offered in their county and learn the local context of programs and other county offerings. Provide guidance for finding resources: These pages provide ways to help users visiting county pages find educational resources on the OSU Extension website. 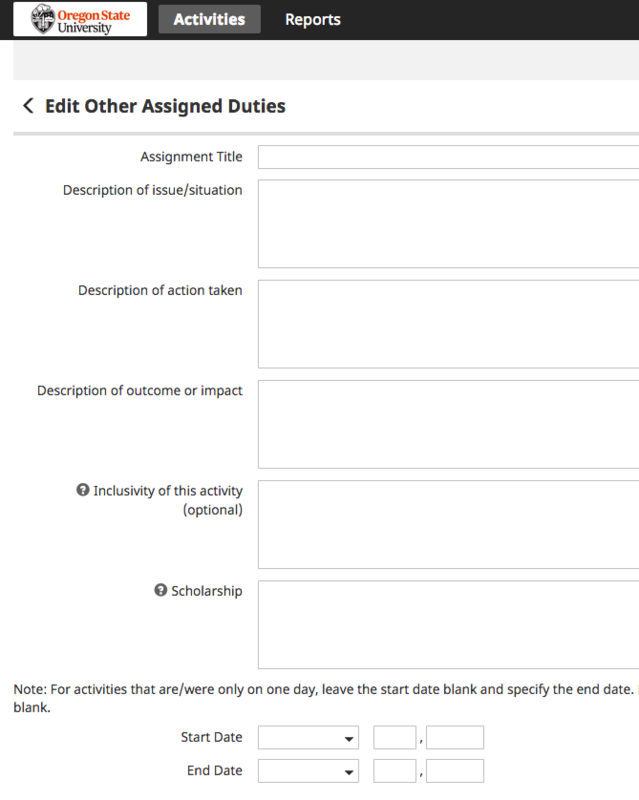 Decrease duplicate content entry: When one faculty member works in multiple counties, focus areas provide a way for them to enter county or region specific information about a topic or program. This info can then be shared on other relevant counties. Prioritize local content: Local events and announcements will be given priority. They will display before and display separate from other tagged events (e.g., other events you might be interested in). County landing pages: We updated the county designs based on your feedback and posted the new county designs. Local focus area content: County offices can highlight what you do in your county and share the local context. See below for an example. What we do page: This page displays a list of local focus areas and programs offered in this county. County events: There will be a new events page to display all county related events. And ways to highlight a few upcoming events on county landing page and on focus areas. Please keep in mind design modifications will remain an iterative process. Expect the look and feel to evolve, the functionality to be fine-tuned. Thank you to Amy Schmid, Jenifer Halter and Laurie Gibson for working with us last week to help us test out county content in the new county designs. Review new county designs and think about any content you need to create. Find or take a photo of your county office to help people find your building. This will display with the county contact info. County group coordinators, keep an eye out for an email from us this week when the changes and new features are live and ready for you to use. Watch video on how to create local focus areas. How to edit County office content and where this info displays. How to add local focus areas and where this info displays. What content displays on local focus areas. Attend office hours. Our team will be available for weekly office hours after the new county designs launch. As always, you are welcome to contact us if you have a question or suggestion. Thank you for sharing your feedback and challenges related to the county pages and the site as a whole. Please continue to share any feedback on how these changes are working for your counties and teams. When a change happens, there’s a lot of fluidity in roles with some people pitching in where needed. At a certain point into the transition, clarity is needed to outline current expectations and responsibilities. This helps working relationships and goals be more defined, and taps into the strengths and interests of each member of a group. Last week we shared our new guide on working on the Extension website, and it included updated roles for all who are involved with the web project and the long-term digital strategy. These roles are shaped by the guiding criteria of the “right people doing the right things”. Everyone in a content team or program or county office group can learn how to add content to the website. The team or group can also designate a member to be “publishing editor” who does the entry or this assignment can rotate. There is flexibility in how the roles fit for your team or group (see the points of contact for each team or group). Working on the website can be more effective when you meet as a group and discuss, for example, “How does your content address the questions being asked by your audiences?” This collaborative inquiry can make your content more engaging too. EESC can facilitate interactive workshops for your team this year to define your website goals, plan your content strategy, or map out your process in making the roles fit for your team or group. Contact the web team with your ideas and requests. Over the last months, the web team made a few adjustments to make it easier to add program resources, peer reviewed content, and online events. EESC also continues to work on finalizing design and support tools for the website. Here’s a look at what is new and what is on the way. Instead of keeping the default alphabetical order, you can now rearrange program resources in the Program Resource List. When you see the list you want to reorder, click on the pencil icon that appears next to the section heading and select “reorder items”. This takes you to a screen where you can drag the program resources up or down on the page. More is explained in the guide on the Training page. When adding new content, some program area leaders have asked for articles to be peer reviewed. You can now check the box and add the reviewer’s name in “Step 3: Author and Publishing Information” when entering educational content. If you are hosting a virtual event or webinar, you can now select “online only” as the location. We are also working on a design fix for how to display all events chronologically but have local events more distinct on the main landing pages. Later this month you’ll have access to the county page design features and ways to highlight focus areas in your county that we mentioned in an earlier blog. We’ll send more details when it gets closer to rolling out. In December we released new design features for the participatory program pages, and details on how to apply these tools are in the guide on the Training page. Since this is new, we are working on video tutorials to walk you through how to spruce up your pages. A new searchable guide full of how-to instructions and tips for entering and updating information on the website will replace the current working drafts on the training page. We will let all web group leaders know when it is released. On the OSU Extension employee intranet, the last pages are being revised for ETCU Tech Help, EESC, and 4-H employee resources, and will soon be available. If you have a question or want to check in on the status of other changes, please reach out to us through the web support form. In 2018, Extension faculty were organized into content teams to populate the new Extension website. If you led the review of content from the county and program sites to see what to migrate or facilitated a discussion with your working groups about what content your audiences wanted, report your contributions and outcomes in Digital Measures. To capture your effort in your P&T CV, document it in Digital Measures under “Other Assigned Duties.” While content you have authored, reviewed, or contributed to can be listed under “Publications,” on a content team you may provide more leadership that strengthens the group process. Here’s some suggested language that could be used; enter the steps that are appropriate to your experience. Because older program and county websites were going offline, existing web content was reviewed and if warranted, migrated to the new Extension content management system. Content teams had opportunities to provide feedback to the Extension website, which was launched in phases. This step-wise launch permitted faculty to become trained in the new content management system and workflow processes. As a content team leader, I convened team members so that we could “divide and conquer” the size of the job. Content was reviewed for its suitability to today’s Extension audience and then entered on the new website. I coordinated workload with [student workers, research assistants, content team members, etc.] who assisted in content entry. In addition, I facilitated communication with my teammates, the EESC web team, and with program area leaders to [request topic changes, curate content on the site, enter or review content on the website, tag content appropriately, identify missing content, suggest functionality or design changes, and coordinate or participate in trainings to learn the content management system]. This took approximately ____ hours. ___ pieces of content were added and read by ___ visitors. These requested features were added to website: ____ (Also include any impact statements from people in the community or clients who have benefited from the website content). Our content team’s content reached an audience under the age of 35, who made up ___% of all visitors to our group’s content. All our content included subheading formats, alternative text of images, and clear writing to increase the access to its content for diverse audiences. When feasible, PDFs were also made into text articles for improved accessibility. There is the ability to link relevant publications, presentations and more to this kind of record. The EESC web team is also working on an analytics dashboard linked to content team group pages when logged into the the Extension website to quantify page and site traffic. Until then, you can contact the web team if you would like this information. County page design preview. And a thank you. UPDATE: Designs were updated April 10, 2019 based on your feedback. Thanks for your input! We gave a sneak-peak of the new county landing page design at the Extension Annual Conference during Tuesday morning’s “Ask the Experts About the New Extension Website” session. See design below. In January on your county’s landing page (homepage), you will be able to add a large hero image, background photos or shading, and calls to action. You can add a ‘quick links bar’ featuring four links to social media, events, newsletters, etc. Also highlight priority county/local programs, activities and resources. Below is an example of Yamhill County that shows different design features you can apply. Think about how your current content will best fit into this style and where you need to write some text or find some photos. Full details on how to create this look will be provided when design elements are ready on the live website. Please send us questions or what you think about the new designs! Thank you for sharing your feedback at the Extension Annual Conference. And thank you for your continued hard work to create and add content to the website. We know this process isn’t always easy or straight forward. Together, we are making good progress! The website is growing as a place where Oregonians can come and easily find the amazing content you create and provide. We appreciate your hard work in making this site awesome! This is the design for large screens (desktop). Note: The wider you make your browser, the larger you will see the design. View full-sized annotated design. More videos will be coming out next month. In the meantime, you can also get an in-person demonstration during the Extension annual conference. Join us on Tuesday, December 4, 2018 at 2:15 pm for our session “Ask the Experts about the New Extension Website” in Corvallis. The whole web team will be on hand to listen and walk through your questions and challenges. We will also explore how to more effectively search and find resources on the website, so you can better assist Extension clients. If you cannot attend, reach out to us about doing a virtual session this winter.